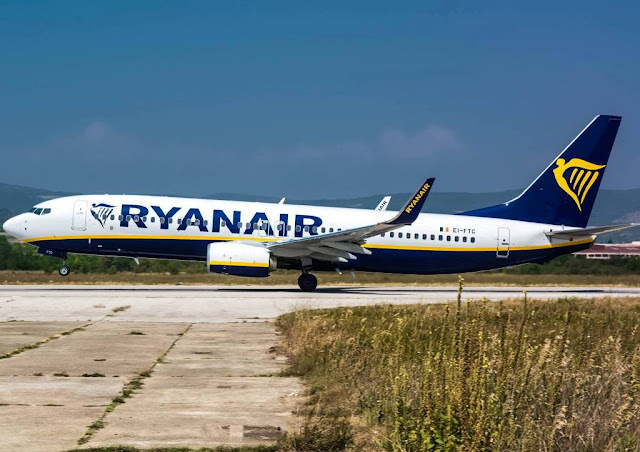 Low cost carrier Ryanair and Mostar Airport have held another round of talks this week over the potential introduction of flights. The negotiations are said to be heading "in the right direction" with a "positive outcome" expected. Potential destinations from Mostar include Rome, Warsaw and Dublin. The two sides have already discussed potential routes at the carrier's headquarters in the Irish capital. Ryanair simillarly negotiated with Banja Luka Airport throughout the winter of 2017 and 2018 before announcing flights to Bosnia and Herzegovina's second largest city in late April of last year, which were eventually launched in October. Ryanair and Mostar Airport have discussed possible services on several occasions since 2012. Previously it was proposed for the low cost airline to introduce flights from Charleroi, Frankfurt and Oslo. However, there is also strong potential for the carrier to cater for religious tourism on routes from Italy and Poland. Ryanair previously said, “We are the leading airline in Europe. We have developed many small and regional European airports and there is no obstacle for us to do the same in Mostar”. The company added that its only condition is for flights to the city to be profitable. The General Manager of Mostar Airport, Marin Raspudić, previously noted that low cost carriers would reverse the trend of declining passenger numbers. "Without budget airlines we will find it difficult to survive since we are surrounded by a number of high quality airports. There is always interest and we are at everyone's disposal. We are confident there is a significant number of people from our diaspora who would fly to Mostar". He added, "Our main objective is to see the return of those passengers who left us during the war and post-war period. They are now using Dubrovnik and Split for charters to Medjugorje and Sarajevo Airport for scheduled services". Mostar Airport rolled out an incentives program late last year in a bid to attract carriers to launch flights to the city, after its passenger numbers tumbled 34% in 2018. "Mostar Airport is offering a number of incentives in the form of discounts to encourage airlines and tour operators to develop their services to Mostar, as well as to stimulate greater choice and greater benefits for all airline companies", the airport said. It added, "The incentives do not distort competition among airlines at the airport and are offered for a limited period of time on a non-discriminatory basis". Mostar Airport's incentives program includes discounts for handling and landing services, as well as the passenger tax, for a three-year period. The reason they are loosing passengers is that more and more people are flying to Croatia instead and then going to Medjugorje. People prefer a scheduled service they can book for cheap over the internet. So I fully support Mostar trying to get some airlines to fly there. I know people flying to Mostar mainly use SPU & SSJ, but do some people use TZL, or is it too far? Too far, they are on the opposite sides of the country and roads are really bad. I think even BNX would be closer. I've met several pax at TZL flights coming from Mostar and that area south of Sarajevo. Even some Dalmatians once in a while, but they being somewhat rare. I actually also met a guy from Mostar on TZL when flying to Malmö. Mostar is not that far from Tuzla, I would say around 3,5 hours of drive. Does Ryanair have a base somewhere in Poland? Yes. They have their own Polish airline - Ryanair Sun which is now rebranding to Buzz. Bases in Gdańsk, Katowice, Kraków, Poznan Airport, Warsaw Chopin, Warsaw Modlin and Wroclaw. I think they closed their base in WAW, it's only Modlin now. it's quite amazing that Bosnia will has 4 fully functioning airports with traffic considering its size. It is basically because it is a landlocked country without developed road and rail connections both within the country and to the rest of Europe and a very large diaspora. His argument about roads make sense. If there was a highway between Mostar or Tuzla with Sarajevo, it would be easier for people to reach SJJ so there would be less need for airline to launch flights to OMO or TZL since they could concentrate on a single airport. Look at Hungary or the Czech Republic or even Austria. Good land infrastructure kills flying from many secondary airports. Yeah but the cities aren't that far apart, it takes between 2h and 2:30h to reach BNX from TZL, SJJ from both OMO and TZL, around 3 hours to reach BNX from SJJ, it ain't much, the highways will only shorten those times by ~30%. Say what you want but I left for SJJ from DUB via MUN at 5:30 am, arrived to SJJ little after 12pm. Took a taxi to the bus station. Boarded a bus for Mostar at 2:30 and arrived at Mostar bus station at 5pm. Entire journey 12 hrs. I could have been in Florida by than. This would probably generate around 100,000 passengers per year. Not bad. Let's just hope they don't muck it up during the talks. Dublin?? Wow! That's a really nice addition! Putting the rest of the ex-Yu capitals to shame. BiH is the box of surprises this year. Remarkable achievments indeed. Just to let you know Ryan will start flights from Dublin both to Split and Dubrovnik. At the same time Croatia will start flights from Zagreb to Dublin. I will believe it when I see it. Officials from the Balkans are known for boasting before striking the deal. It would be good if they got Ryanair. Then you would have Wizz from Tuzla and Ryan from Mostar and Banja Luka. It would be great if they got both not just one. Like Nis. Yes but even in Nis Wizz came first for about a year before Ryan came. One airline needs to show that there is a sustainable and growing market. EasyJet is not very keen on small and poor Eastern European destinations. Easy jet to Paris, London, Amsterdam, Milan...etc. would be the best thing that could happen to Sarajevo. Unfortunately, with the current fees and management, I doubt we will see any major LCC start flights to SJJ. Area around Mostar is really not populated like the area around Osijek. Why can't OSI make a deal with FR like this? Especially now when Wizz Air is cutting its only route from OSI to BSL. Last flight is on 14.06. Even though W6 is the Eastern European specialist, FR still found clever ways of being innovative. They started opening bases in the West and connect the East. Good examples are the new French bases and SXF for example. They are quietly invading the rest of BiH while W6 is focusing on TZL. Situation is the same with Crna Gora. OMO had almost 80,000 passengers in 2012. In 2018 28.000 :( hopefully Ryan comes. This is because of the loss of Italy charters. True. Mistral Air ceased all passengers operations. Those flights were daily charters with full big aircraft. Charter flights from southern Italy airports (Naples, Bari, Palermo, Lamezia, Catania) will be operated by Romanian charter carrier Aviro Air which has replaced Mistral Air. I think a flights from Bergamo, Weeze and Warsaw would work great. And agree with @An.11.10 about Bergamo. The good thing about Mostar is that they signed multi year contracts with Eurowings and Croatia Airlines so the airport will have traffic for at least a few years. By then other airlines should take notice. Hopefully Ryanair is the result. Yes but the contract was signed because those airlines get subventions. I am certain Ryanair will be getting subsidies too and they probably signed a contract for a certain set period. Macedonia, Serbia, Slovenia and Croatia also subsidize its flights, what's wrong with that? Congratulations BiH. All four airports are finally going to have decent traffic. All the best to all the airports in BiH. Good. Can't wait to finally see some serious airlines that can serve the local population. Big year ahead for OMO and BNX. Overall I think it will be a good year for all airports in Bosnia and Herzegovina. How exactly will it be a good year for Tuzla? For several months now their numbers have been crashing and there are no new announcements coming soon. Tuzla and Wizz Air are renegotiating their agreement and new flights will probably be announced for winter 2019/2020. There is a saying which is very appropriate here: прво скочи па реци хоп. Don't know the English equivalent.